The Gaudeamus international song and dance festival, passed down from generation to generation, will return to Tartu after a 12 years’ gap. 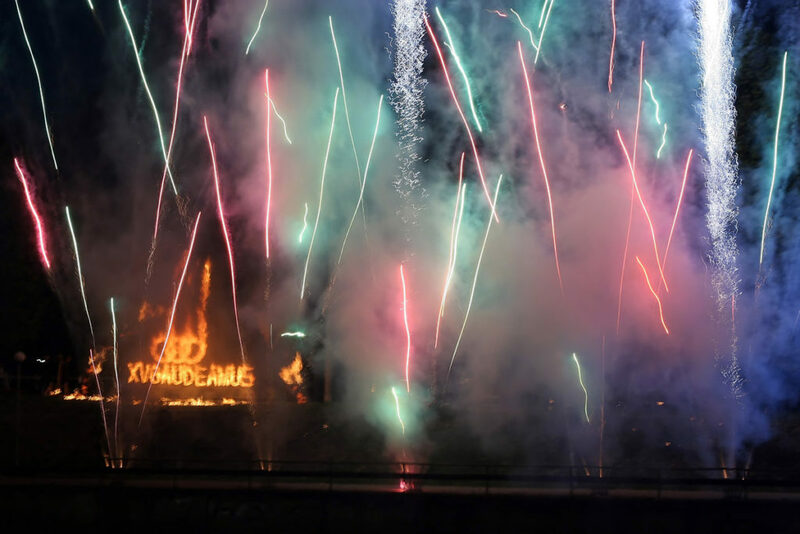 On 22-24 June, the biggest university students’ song and dance festival in the Baltic countries, Gaudeamus, will take place in Estonia’s second largest town, Tartu. More than 4,000 performers from Estonia, Latvia and Lithuania will perform at the festival that was founded by the Estonian composer and conductor, Richard Ritsing, in 1956. 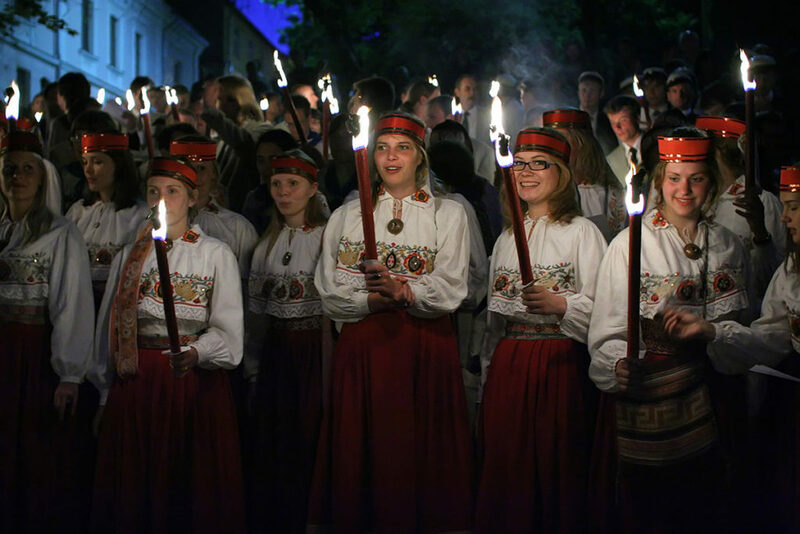 After a 12-year gap, the festival is back in Tartu, now organised by the founder’s son, Alo Ritsing, a choirmaster. 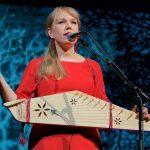 The event will combine choral music and dance into a spectacular performance, with the Estonian Midsummer’s tradition as the central artistic idea. The festival will start with a procession and a free opening ceremony along the banks of Tartu’s River Emajõgi, followed by the dance performance, “The Mystery of Midsummer Eve” and the concert and song festival, “The Songs of Midsummer”. The idea to organise a celebration with the best in Baltic choral music was already circulating in the 1920s – when Estonia first enjoyed independent statehood – but ironically, the first Gaudeamus festival wasn’t held until after the war when Estonia was already occupied by the Soviet Union. However, it could only happen after the death of Stalin, the bloody Soviet dictator. 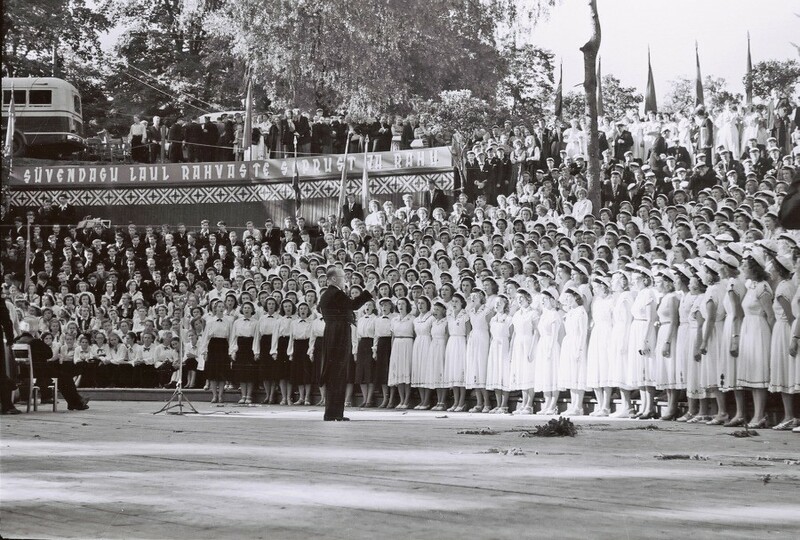 At the initiative of maestro Richard Ritsing, choirs from Estonia, Latvia and Lithuania came together in Tartu’s Tammeorg for the first time for the big celebration in 1956. To this day, Gaudeamus is alternately held in the three Baltic states, and generally every four years. 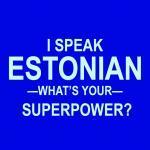 The last time it was held in Estonia in 2006, the festivities attracted about 30,000 spectators. He recalls that the first Gaudeamus was very special because all three Baltic states were still behind the Iron Curtain. “During the festival, it felt like it was a family reunion – even though most people had never met. 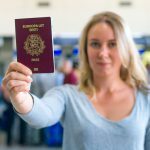 Of course, the Estonian, Latvian and Lithuanian people are not related, but it enriches us culturally to learn from each other,” he says. The end of the 1980s was a breakthrough period. 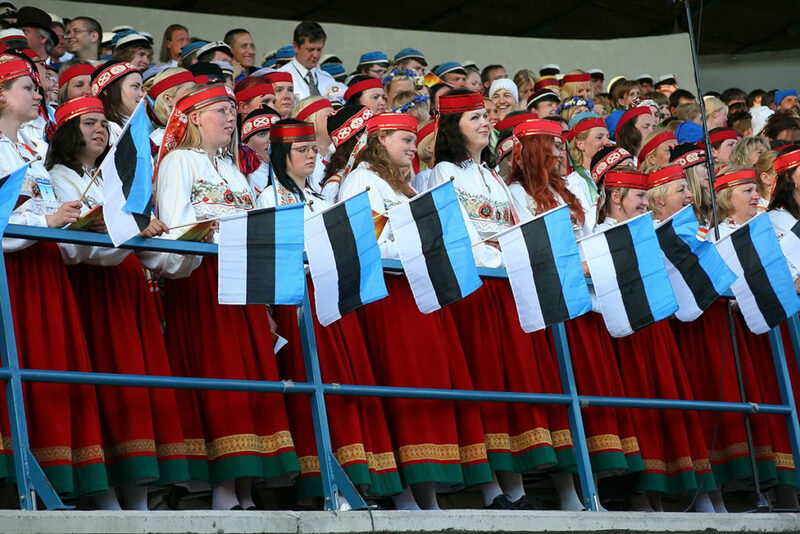 In 1988, the Estonians participating at the celebration in Vilnius (the Lithuanian capital – editor) were allowed to take the blue, black and white national flag with them, but everyone was warned ahead of time to not provoke or aggravate the southern neighbours in any way. Latvians and Lithuanians were not yet allowed to wave their flags in public, but when the Estonians were seen with theirs on the first day, Latvians and Lithuanians were out with their national flags the next day too. 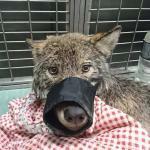 “These were quickly found from hiding places in homes or sewn quickly, specifically for the occasion,” Ritsing recalls. 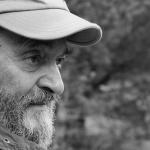 Even though it was customary during the occupation to perform mandatory Russian language pieces composed by the Soviet authors, at the 1988 Gaudeamus, a conductor who had come from Leningrad (the name of St Petersburg during the Soviet times – editor) was shocked – the choirs booed him off the stage. Do choral music and folk dance even have a place anymore? The event begins on 22 June at 9 pm with the fire-lighting ceremony attended by all 4,500 participating singers, dancers and musicians. 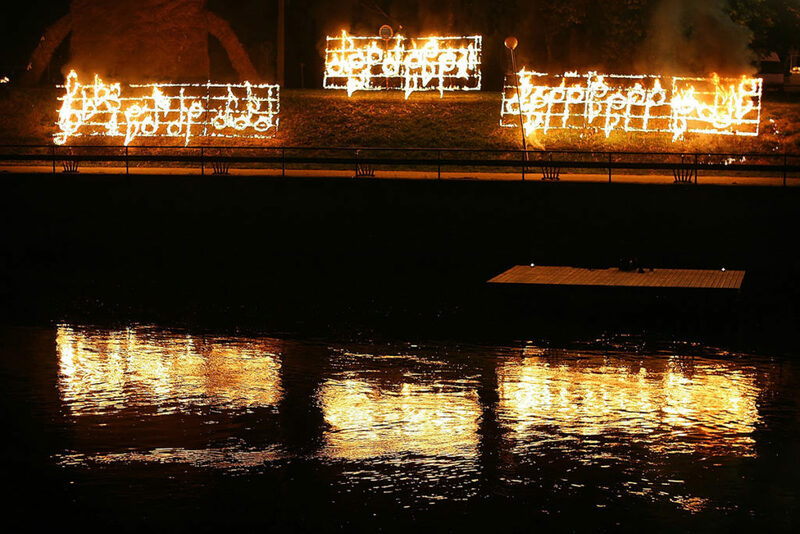 After lighting the ceremonial bonfire, the performers – accompanied by 1,000 torches – and spectators will march to the arched bridge on the banks of River Emajõgi where “Carmina Burana”, a scenic cantata written by German composer Carl Orff, will be performed. The performance of “Carmina Burana” will include a grand stage show, complete with dances, costumes, decorations, light, water and pyrotechnical effects. The opening event is free of charge. On 23 June at 10 pm, the nocturnal dance celebration, “The Mystery of Midsummer Eve”, will take place. Dancers from universities in Estonia, Latvia and Lithuania will take to a stage four times as large as an Olympic swimming pool. For the first time in the festival’s long history, folk dance will be combined with modern dance and lighting will be an integral part of the performance. On 24 June at 3 pm, the thousands of participants from the three Baltic states will form a parade in front of the main building of the University of Tartu and walk to the Tartu Song Festival Grounds. This will be followed by the song festival, concert and performance, “The Songs of Midsummer”, at 4 pm. 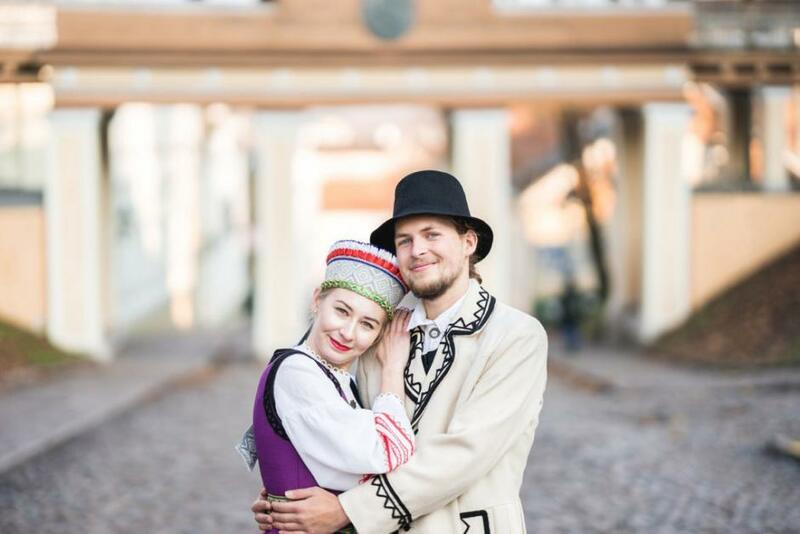 Cover: An Estonian couple wearing a traditional folk costume, in Tartu. Images courtesy of Gaudeamus festival. Meelika Hirmo is a communications manager at festival Gaudeamus.